Well, not a total fail. But I don't like the results. The casing for the band—is bust. 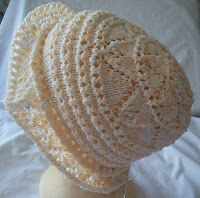 This style worked in finer cotton—but I think its too bulky for this yarn. BUT I am about to bind off and fit in the wire—and finish it off. 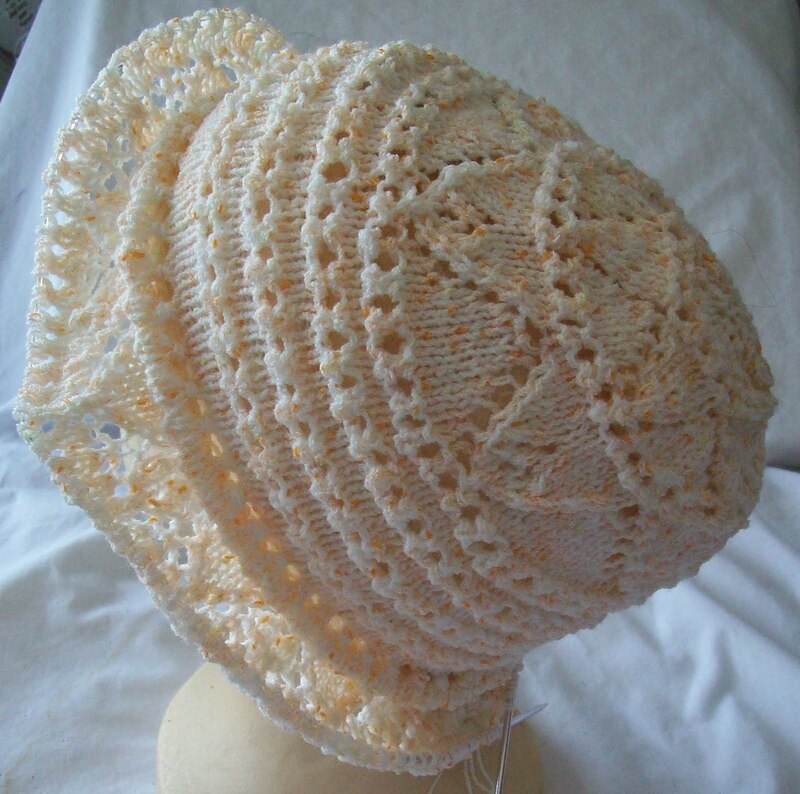 I have a small stash (20 some odd balls, but only one 1 or 2 in any color) of Paton's 'Grace'--and will make another hat, and refine the details I don't like—and (HOPEFULLY!) end up with a better hat. The Grace is a bit thicker, and some of the fit problems will be resolved by gauge alone! 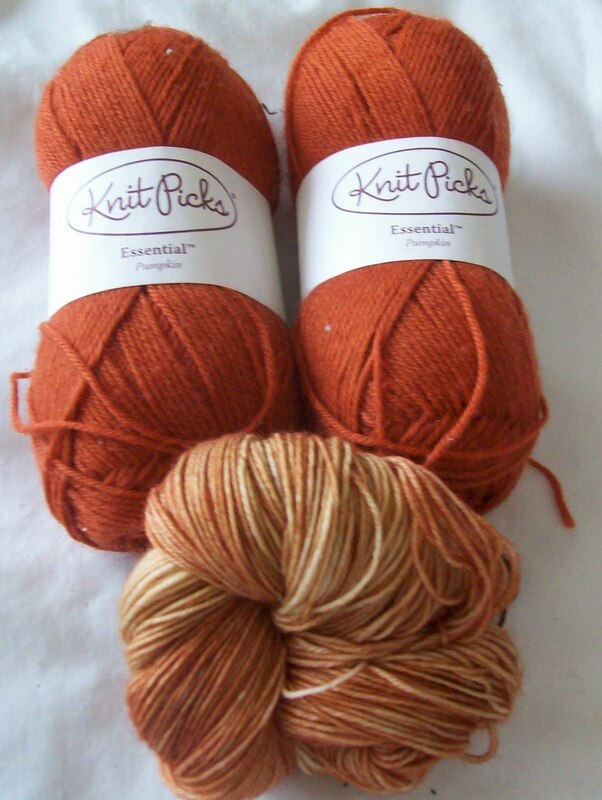 Meanwhile—I got a skein of white dyed a toasty brown—not a perfect toast (it's a bit too orange—but the dye bath looked a bit too blue—so I don't know what happed) but its close enough. It's already dark enough—I don't want to fool around with it, and make it darker. See—toasty brown crust and spice orange brown pumpkin custard—won't these yarns work up into luscious socks? 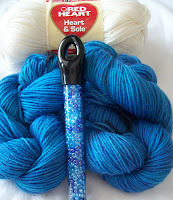 -I went all out and bought 2 tubes—one called opaque sapphire (left)–the other Aqua mixed. (right) I still haven't decided which ones I'll use. 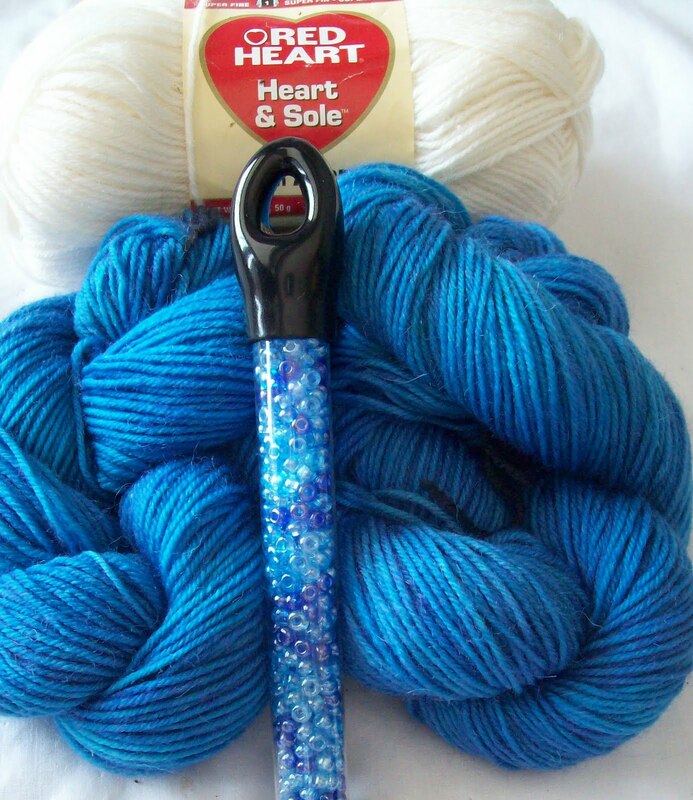 There won't be too many beads in the sock—just some that echo the swirl pattern of the first 20 or so rounds. And I'll be re-stringing the beads. I've done both methods (pre-stringing and picking up with a crochet hook and adding as I go) and I think, for me, pre-stringing is easier. Especially since the POOL is now open! And with summer like weather arriving with the traditional beginning of summer (Memorial day weekend)--I'll be spending more time at the pool. 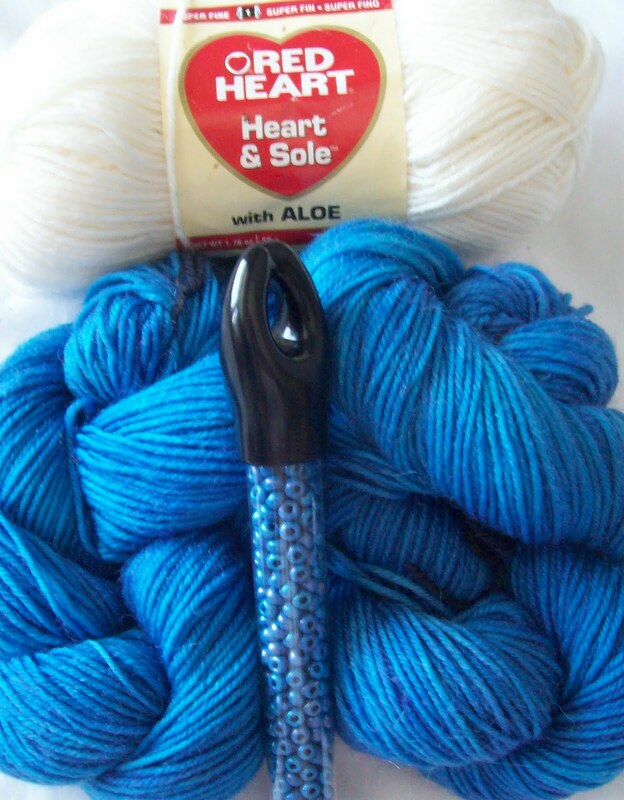 The work on the terraces is progressing--they haven't started on my 'line”--that will be in a week or two—but its noisy enough that I will be spending more time at the pool than home—and it will be much easier to work with prestrung beads when knitting in public. 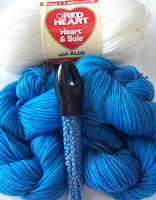 I still have some red yarn and some grey, and another pair of bluish socks set up in my sock kits... But I don't think I'll get to them till autumn! Besides the socks, some hats and scarves, and fingerless gloves, too. And Sewing... I am endlessly ambitious—but not nearly as productive! I still like it! Have fun at the pool! Sewing takes a lot of space if you are garment sewing. I'm fighting to regain the cutting tables in the sewing studio. Everything related to ceramics overran one of them so long ago that it's frightening.